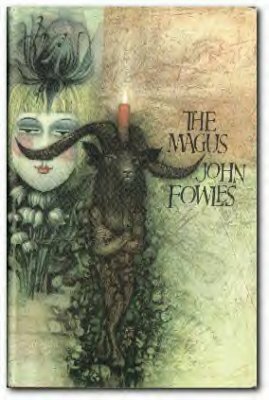 I remember coming to John Fowles' novel, The Magus through a brilliant, funny friend/professor/boss I had when I was in college. He bought it as a birthday gift for me, and wanted to know what I thought of it. That's the kind of book The Magus was (or still is; I'm not sure what its popularity is now); it was one of those works that instilled in its readers an intense, emotional, personal connection, and compelled them to share that connection with someone else - to test them, if you will. To test them to see if the other person "got" the book, if they experienced it the way the giver experienced the novel. It's unfortunate, but no one will ever feel this compulsion to share the film version of The Magus. It's certainly not for a lack of trying on the part of the producers of the film. No less than Fowles himself wrote the screenplay, and good, compelling actors like Anthony Quinn and Michael Caine star. The Greek and Spanish locations are impeccable, the director, at least on the surface, appeared sensitive to the material - it all should have jelled into a successful film. It's certainly not the disaster its reputation would suggest (Woody Allen famously quipped about the movie that if he had his life to live over, he would live it exactly the same way, with the sole exception of being spared seeing The Magus again). There are major conceptual problems with the film, to be sure. Seen as a whole, it can be called an interesting failure. And perhaps this is why the film received such nightmarishly harsh reviews when it came out - The Magus's major crime with the critics was that it just didn't measure up to the book. Whenever I hear a critic or moviegoer who was disappointed in a movie adaption of a book they've read state, "Well, the book was probably unfilmable," what they're really saying is, "The filmmakers didn't make the movie the way I experienced the book." They're forgetting the fact that everybody experiences books in different ways, particularly a kaleidoscopic, post-modern novel like John Fowles' The Magus. It's a pointless argument to discuss a particular film adaptation of a novel from the starting point of, "Was it faithful to the novel?" It's a meaningless reference point; books and films are two entirely different aesthetic experiences -- it's apples and oranges. That being said, readers' connections with influential novels are a powerful force that blinds many from seeing a film adaptation as an artistically fresh starting point. Fowles' himself evidently had trouble with this notion, since he resented seeing his first novel, The Collector, suddenly become "William Wyler's The Collector" on movie posters and ads. He failed to see that despite the fact that he had written the source material (as well as part of the screenplay), director William Wyler was the overall artistic force behind the movie. When you go to the library and check out the novel, it doesn't say, "William Wyler's The Collector." It's still Fowles' novel. Evidently, Fowles was so upset by his experience with The Collector, that he stipulated that if any film adaptation was to take place with The Magus, he alone would write the screenplay (interestingly enough, Fowles stated that he enjoyed the collaborative effort of working on the The Collector - he just didn't like it when others got credit for the film's final success -- perhaps a more telling comment on Fowles than on Wyler). What he may not have realized was that by demanding sole responsibility for the film version of The Magus, he alone would bear the responsibility of the screenplay's - and a large part of the film's - success or failure. Nicholas Urfe (Michael Caine), an over-educated, angry Oxford-educated Englishman, has just escaped from a messy relationship with a beautiful, loving flight attendant, Anne (Anna Karina). Coming to the Greek island of Phraxos to teach English to Greek boys, Urfe meets Maurice Conchis (Anthony Quinn), an enigmatic, mysterious Greek millionaire who may or may not be a former Nazi collaborator, a Greek partisan, a clinical psychiatrist, a movie producer -- or God himself. While in Conchis' company, Urfe meets Lily (Candice Bergen), a stunningly beautiful, deeply troubled girl who Conchis claims is his long-dead girlfriend from his youth. Is she? Or is she a schizophrenic that Conchis/"Dr. Lambros" is helping? Or is she just an actress hired by Conchis to help enact his "godgames" that play with the mind of Urfe? Urfe is immediately attracted to Lily, but this attraction will lead to psychologically devastating revelations about Urfe's character, while Urfe struggles to understand exactly what is real and what is a lie, concerning Conchis' "godgames," and his own life. The ultimate reality of the film is up to you, the viewer. If I could sum up in one word what is missing from The Magus, the one essential ingredient that is absolutely necessary for the film to work that is nowhere to be found, it would be "passion." 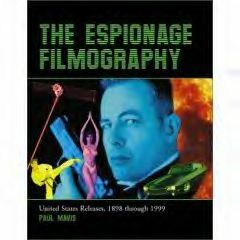 The film has a cool, detached, stylized integration that makes for a good looking movie, but which also makes for a film vastly removed from the central idea of the screenplay: the utter destruction of a selfish, self-centered young man's psyche, in order for him to face the horrible facts about his own life, and to see and feel the truth and lies that we all live with. Where is that visceral, palpable passion in The Magus that we need to feel to believe the story? Perhaps it's a matter of casting. 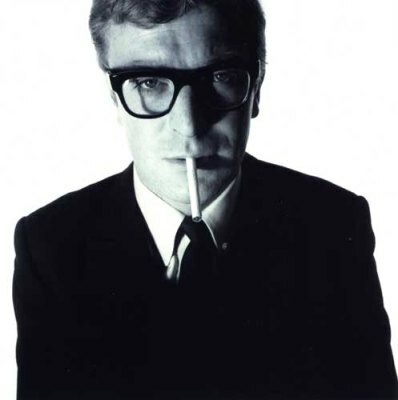 Michael Caine has always been a bit of a cool customer, particularly early on in his career; after all, at this time he was most associated with the character of Alfie, the cold-blooded Cockney womanizer. Here, Caine dispatches his girlfriend Anne with icy resolve, but where is the wild heat when he sees Bergen? Granted, it may have been difficult for him to work up that kind of emotional involvement with an actress like Bergen (not the most giving of performers), but for the story to be believable, we have to feel Caine's overwhelming, emotional/sexual attraction to her, and we simply don't. For that matter, we don't get anything from Caine that might explain why he continues on with Quinn's "godgames." I never believed that Caine was psychologically "broken down" in the end by Quinn's manipulations; the actor's natural reserve masks any possible expressions of paranoia, fear, lust or mental collapse - and if I don't believe that, whether it's the director's or actor's fault - there's not much point to the movie. Part of the problem also stems from conceptual and directorial problems, as well. There is one moment in The Magus that approximates the visual impact of Fowles' dizzying prose style in the novel. Caine is visiting with Conchis, and suddenly, as if called up by magic (after all, Conchis is "The Magus" - the magician), a satyr appears, running after a girl who looks like Lily. Lily then appears as Diana the Huntress, on top of the roof of the mansion, and shoots the satyr dead with an arrow. Caine looks away in shock, only to see Lily standing next to him, dressed in her WWI period clothes. It's a marvelously effective scene that comes close to the theatrical, reality-shifting prose of Fowles' novel. So why didn't director Green continue to shoot the movie in this manner? One can assume that because Fowles wrote the screenplay, and was present during the production (he even makes a cameo as the sailor in the film's first shot), that he crafted how the scenes would be laid out and filmed - that's what a screenwriter does. So why does Green shoot almost all of the film in a literal, presentational manner? Particularly problematic is the all-important finale, the final "godgame" that is meant to break down Caine's psyche once and for all. In the novel, Urfe couldn't determine if this godgame was real or illusion, but Greene gives us the definitive answer (and thereby eliminates the entire meaning of the sequence) by shooting it as a drug-induced dream sequence. We, the audience, are let off the hook. We can safely say, "Well, it's just the drugs that make him see what he's seeing. He's okay; he'll be fine once it wears off." That's the exact opposite effect of what the film should be trying to convey to the viewer. One can only guess why the scene was shot this way (or why they included that ridiculous talking computer idea, as well). Perhaps the studio felt the audience wouldn't understand an "is it reality or illusion" representation of the final "godgame." Perhaps the cliched, gauzy, foggy dream sequence method of shooting the finale was an ill-conceived sop to the audience's patience with the demanding script. Whatever the reason, this manner of shooting, particularly this vital last sequence, betrays the inherent nature of the material, and makes The Magus an artistic failure. There are good, interesting elements in The Magus. Standing out in the cast is Quinn, who is quite affecting as Conchis. His scary, penetrating eyes speak volumes from Fowles' novel, but what exactly those eyes are saying you may have to guess at, considering the film doesn't adequately elucidate them. 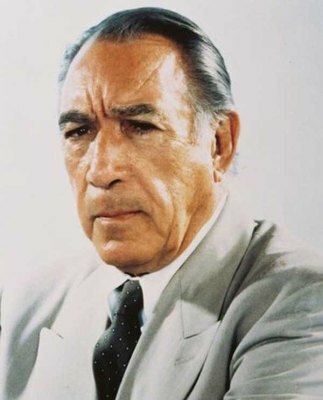 Quinn almost became a cliche by inserting numerous "Zorba"-like mannerisms and references into his many subsequent roles, but here, he admirably resists the temptation to overact the "Greek peasant" role in which he excelled. His Conchis is mysterious and sinister, yet totally likeable and attractive, too - the perfect "truth/illusion" model that keeps the audience guessing as to his real intentions. He's particularly good in the third act, where we get an extended flashback (or is it all a tall tale?) about Conchis' activities with Greek partisans and Nazi occupiers. It's a particularly strong sequence, and Quinn has a weight to his playing that's quite astounding, but it shouldn't be in this film, at this time. While that particular subplot works well in the 600 page novel, it takes up an inordinate amount of time in this two hour movie, and distracts us from the central story of Caine's breakup. The director further fails to validate the inclusion of this Nazi atrocity sequence when he can't successfully link it with Caine's actions in the finale. The Magus' cinematography, provided by British veteran Billy Williams, is nothing short of stunning. There are several scenes where Caine is walking along mountainous Greek paths, where Williams achieves a depth of focus that creates an almost 3D illusion -- it's an amazing effect. It's a beautiful, rich film to look at; with a shimmering gloss indicative of the typical big-budget movies of the 1960s. Unfortunately, much of the film's intended impact is nullified by some truly atrocious music cues by John Dankworth. In particular, there's an extended scene where Caine and Karina (quite good here as the rejected lover Anne) reunite, that becomes utterly laughable when Dankworth's Disney-esque music comes tinkling down. It's a shockingly bad choice for the scene's purported intent, and it happens again and again throughout the movie. Caine's love scene with (an apparently inert, comatose) Bergen is ruined by truly bad music, as well as the film's final shot, where Caine is supposedly clued into the true nature of his character. The film's score is certainly the worst element of the film, and a crucial one. Good music has saved countless troubled films before; it's a shame this on-the-edge film was stuck with Dankworth's worthless score. As with 20th Century Fox's other Michael Caine releases of Peeper and Deadfall this week (please click here for my Peeper review and here for my Deadfall review), The Magus looks phenomenal in its sparkling, shimmering new transfer. The 16:9 transfer yields amazing detail from the picture. The Magus is one of the best looking DVDs I've seen this year. The Dolby Digital stereo and mono soundtracks are sharply delineated, with no distortion or fuzz in the playback. There's also a Spanish and French mono track, as well, and English and Spanish subtitles. There's an impressive documentary, John Fowles: The Literary Magus that is required viewing after seeing The Magus. 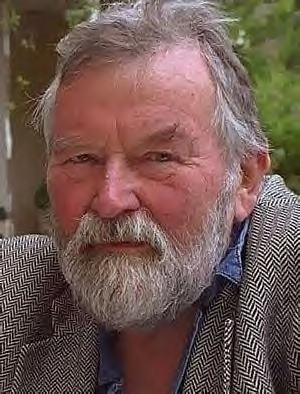 So often, these DVD documentaries amount to little more than extended commercials for the films you just saw, but John Fowles: The Literary Magus reaches real depths in exploring the life and work of Fowles, while maintaining an almost unheard of (for DVD documentaries, at least) even balance in presenting opinions and views of Fowles as a person and as an artist. This isn't just some whitewash "rah rah" celebration of Fowles; the revelations from his step-daughter about some of Fowles' actions, bring real contrast to the usual critical cheering for his life, and deeply impact the viewer's reading of the film The Magus. It's really a thorough, well thought-out documentary. There's also trailers for The Magus (suitably cryptic), as well as for Peeper and Deadfall. In his autobiography, Michael Caine said The Magus was the worst film he was ever in because no one ever understood what it meant (this coming from the guy who starred in The Swarm, Beyond the Poseidon Adventure, and Jaws 4: The Revenge). John Fowles stated that it was a "disaster, right down the line." It's not a disaster; it's a failure, to be certain, but there's an attempt to make a good movie here which doesn't come off. Certainly most of the fault of this must lie with Fowles himself; he, after all, wrote the screenplay. After the utter critical and commercial failure of The Magus, Fowles vowed never to write another screenplay of his own work. One can see why after viewing The Magus. Film, at least in the hands of a director like Guy Green working in a mainstream 1960s Hollywood studio mode, demands concrete storylines and literal visual representations. This of course is the exact opposite artistic aim of Fowles' elliptical prose work. Fowles wasn't immune to the temptations of success. Famously, he shunned all forms of "fame" and the superficial attractions that went with being a best-selling author. However, he did avidly seek recognition for his work, and valued the reputation he had for being one of the 20th century's best prose stylist. Perhaps that's why he hated The Magus so much; his name was on it, he wrote it, he had an active voice in how it was shaped -- and it was a failure. No one will ever talk about The Magus the way they talk about John Fowles' The Magus. The Magus is certainly worth a look if you're a fan of the novel, or a Quinn or Caine fan. It's not an artistic success, but it's also not the worst movie ever made, by far. As the Magus would say, "God doesn't have to choose - you and I do." Recommended.